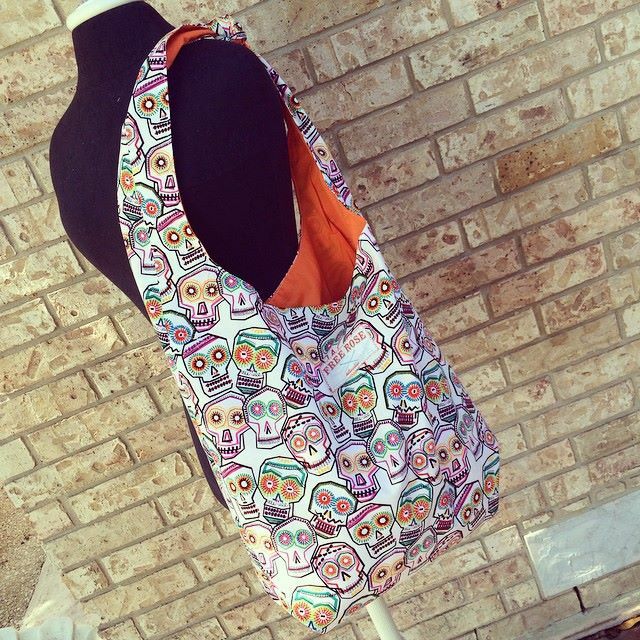 Join me this Saturday, Oct 10, 2014, at The Uptown Studio, to make a simple reversible cotton tote bag, with the option to extend the straps to a cross body version. You’ll leave with your finished bag, a pattern to create more at home, as well as refined skills in stitching straight seams, french seams, topstitching and pressing. Read the details and pay tuition here. Children with sewing machine experience are welcome, but students aged 13 or under must have an adult present to assist them. I made this sample tote using an Alexander Henry fabric. I can’t wait to see the fabrics my students will select. See you soon! This is a great project for anyone with an hour of free time. 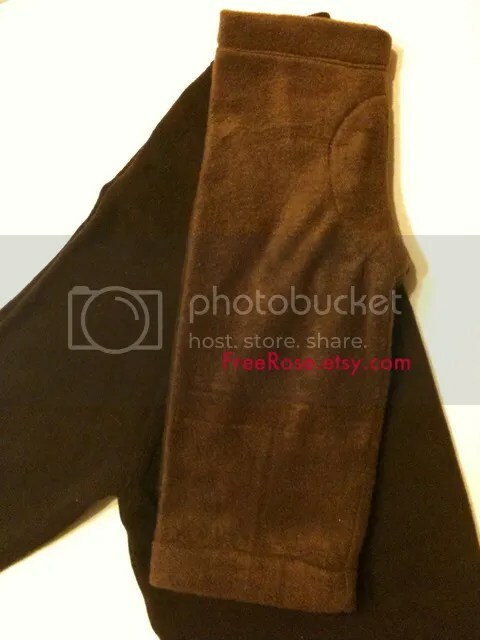 If you cloth diaper, you can make these out of a 100% wool sweater to use them as longies! 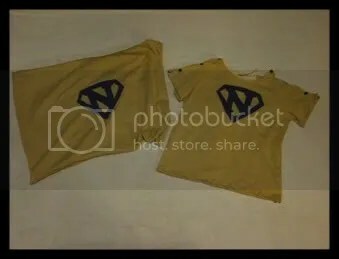 And even if you don’t cloth diaper, use this tutorial to make a quick pair of pants out of an old sweatshirt (or even a T-shirt!). 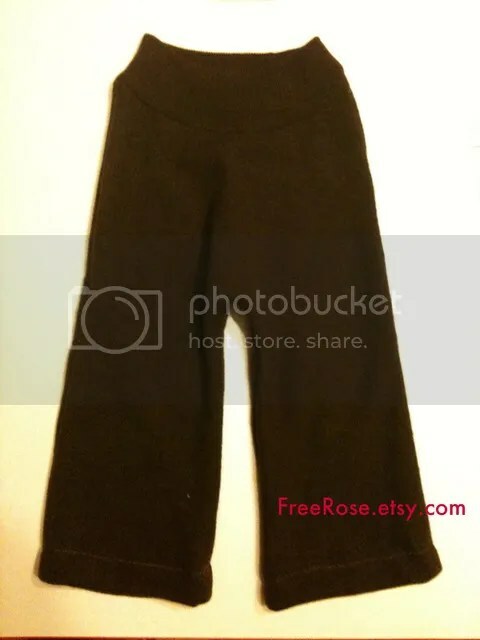 These easy upcycled baby and toddler pants are made using the neck of a sweater as the waistband, eliminating the need for elastic and providing a comfy seam free waistband. 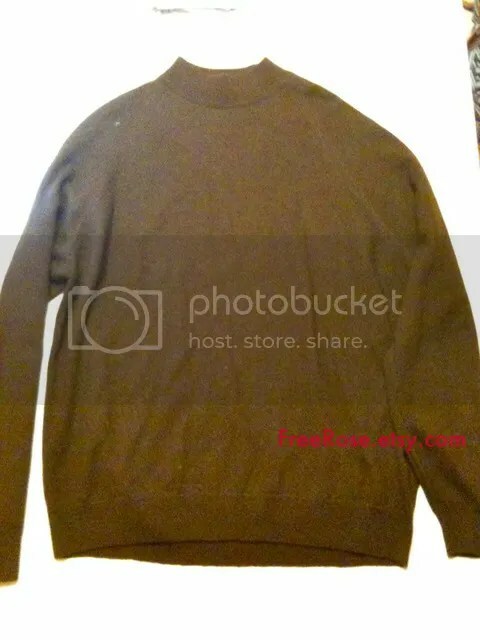 When choosing a sweater, measure your child’s waist and and find a sweater with a similar neck circumference. 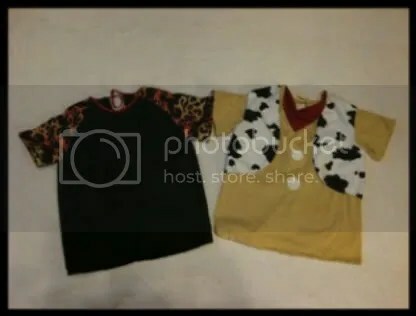 The sweater pictured has a thick 2” band collar, a turtle neck would make for a cool fold-over waistband; I even made a cool button-fly pair using a button up, collared sweater! A close knit is also helpful so that it will not unravel while you work with it. Any fiber content will do; I used 100% Wool so that mine could double as a cloth diaper cover. Here we go! 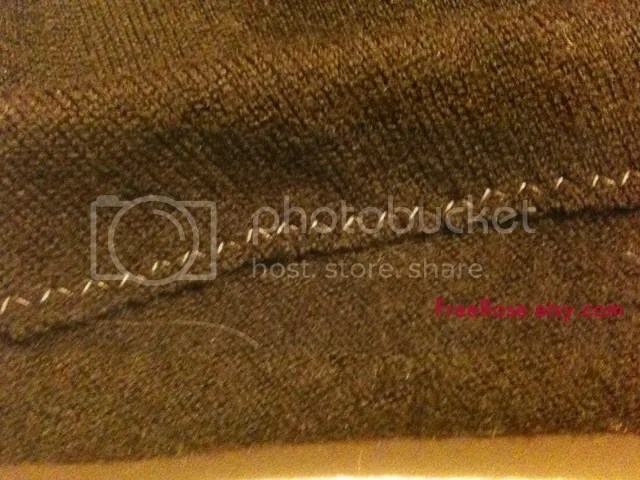 Step 1: First, you will need to lay the sweater flat and inside out (right sides together). 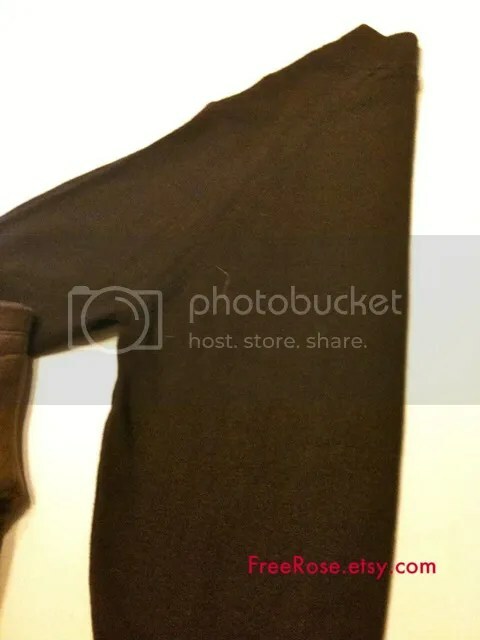 Step 2: Then fold it in half with the front of the sweater to the inside, making sure it is flat and smooth. Since a collar naturally dips to the front, we will be doing all of our measuring based off of the larger back seam. 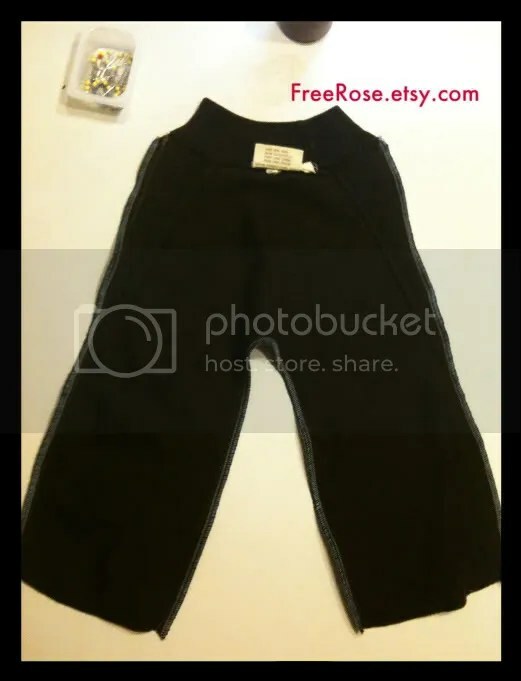 Step 3: Measure the outseam of your child’s pants (this is the seam that runs from the hip to the ankle). Add 1” for a hem allowance. 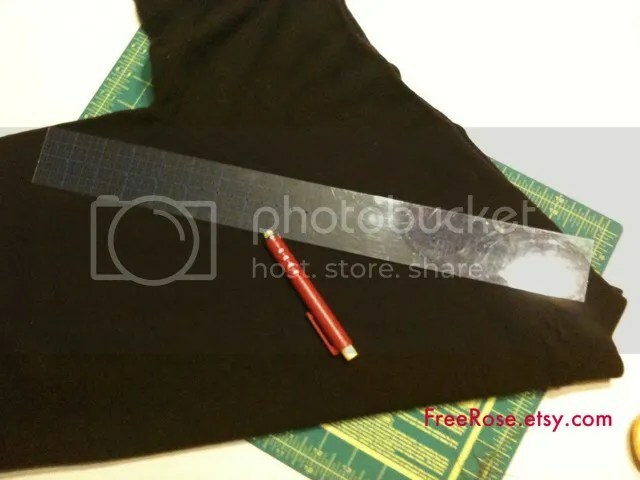 Using a ruler and that measurment, you will want to measure from where the collar meets the shoulder, down into the side seam of the sweater. You will need to add a 1/2” seam allowance. 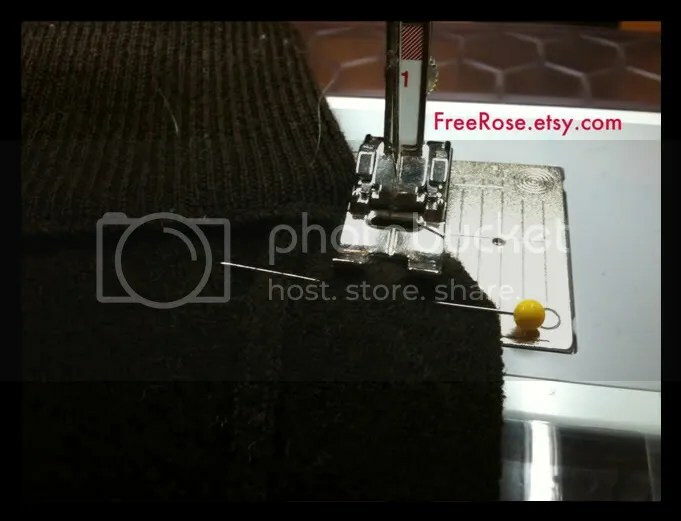 I used a cutting mat, clear ruler, and rotary cutter, so I could measure my outside and seam allowance at the same time, it makes things much faster, and keeps your sweater lying nice and flat while you finish patterning! *I measured 18” from the bottom of the collar for my approx. size 18-24 M pair. 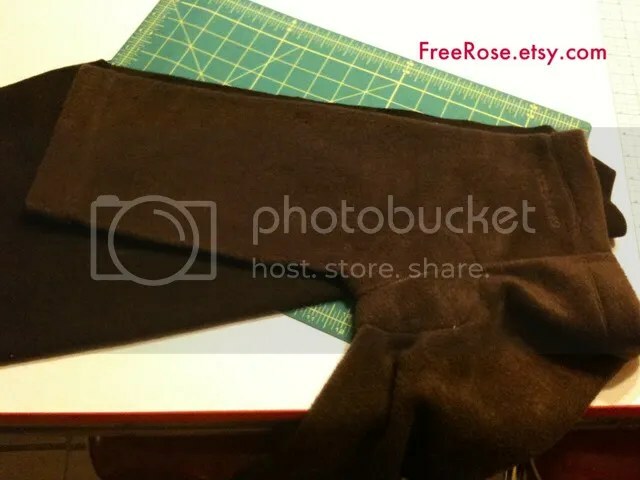 Cut along your out seam, this removes the sleeves from the sweater. 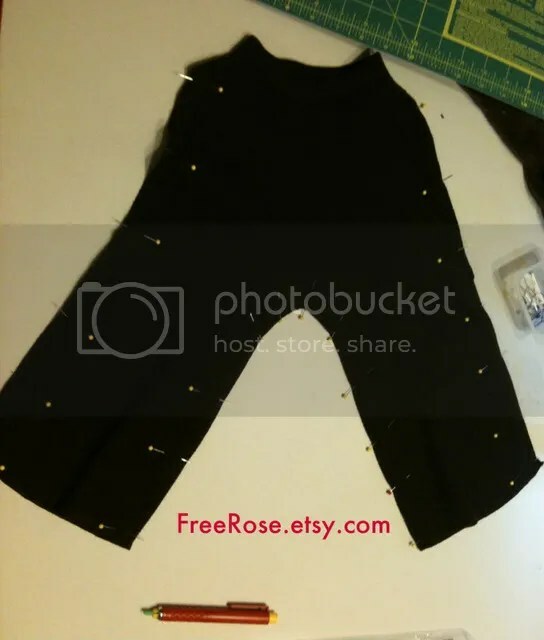 (Set them aside, you can make a second pair of pants from them too!) We are halfway done! 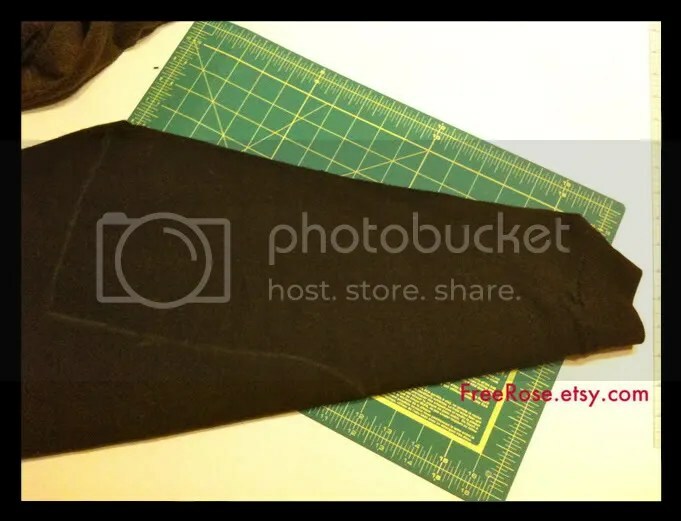 Step 4: Now, go back to your children’s pants, and measure the center back seam, from the center of the crotch (where all the pieces meet) to the base of the waist band in the back. Return to the sweater, and mark that measurement-starting at the base of the collar (where it meets the body of the sweater), adding 1/2” for your sean allowance. *I measured 9 1/2” for mine. 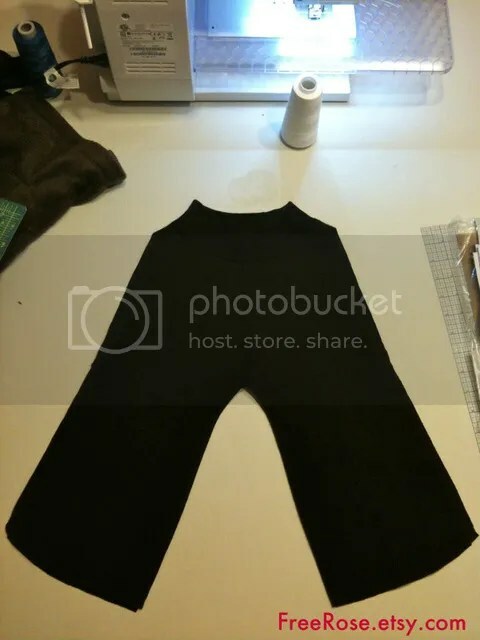 Step 5: For the next step, you’ll need to lay your child’s pants over the sweater, matching the crotch of the pants to your 1/2” above your measurement and the outer leg seam with your cut edge. Thread your machine and set it to a tight, smaller than average stitch to prevent the knit from unraveling, a stitch length of 2 should generally work. Sew seams together, being careful keep your knit from stretching. 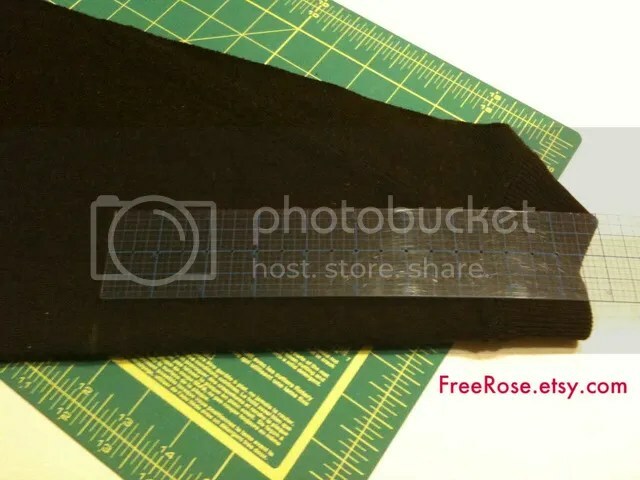 * If you are making these as longies for cloth diapers, you can easily add a soaker layer to the front and back before stitching the inseam. The scraps from between the legs would work perfectly. Your raw edges will need to be finished to avoid unraveling. 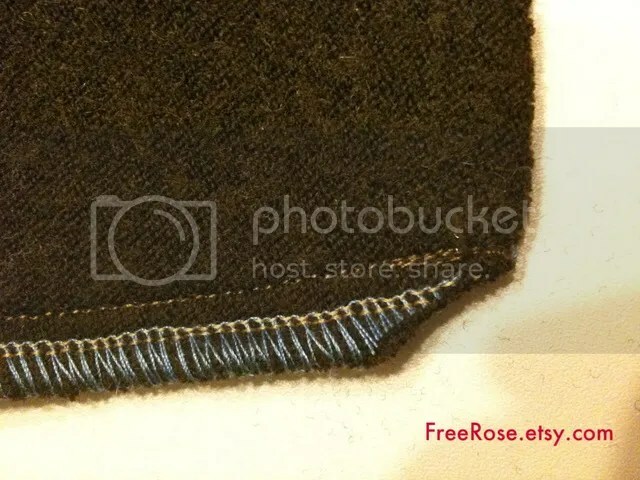 I used a serger, but a medium zig-zag along the edge would work also. Step 7: Now onto the last step!! 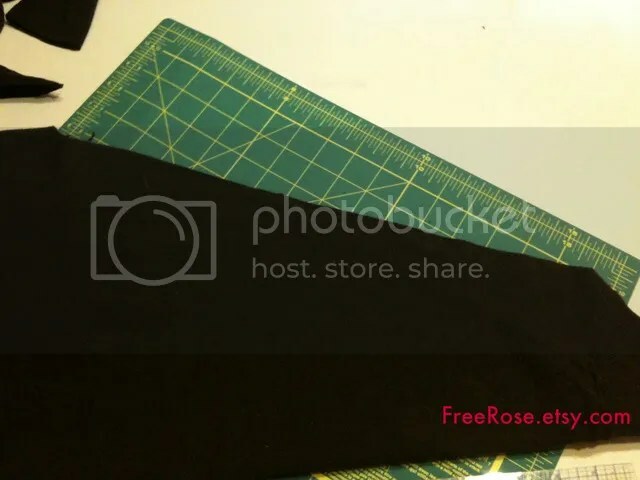 Before turning up the hem, I like to trim a small corner off of the bottom of the hem so that there is less bulk along the seam. 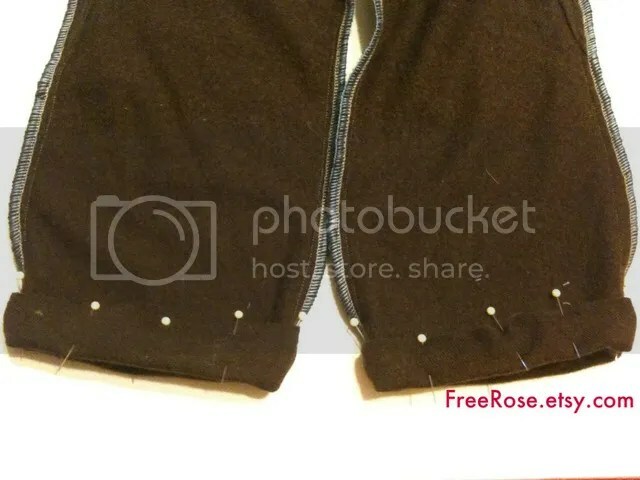 Turn up the bottom of the pants 1” (or whatever seam allowance you added in step 5) and pin. Stitch along the raw edge with a zip zag, which will finish the edge and hem the pants in one step, making sure to not stretch the garment as you stitch. I also recommend using a zig-zag in this step because it is easier to remove if you even need to adjust the length of the pants, and makes it easier to keep the knit flat. I spent an evening hoping for an action shot, but my son was so comfy in these pants he wouldn’t stay still. This tutorial was originally published on Cynspiration. Check it out for more great children’s crafts and sewing projects.